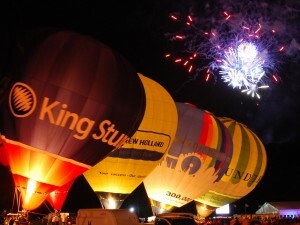 27 September 2010 – Etherlive has helped organisers of the Bristol International Balloon Fiesta, which attracts over 500,000 attendees, to successfully manage their onsite telecommunications and broadband services. Richmond Event Management (REM), lead contractor for Europe’s largest Hot Air Balloon event, had concerns over the communications systems used on the site. If disrupted this could raise security issues, or threaten communications between organisers and those working on balloons flights, posing possible public safety risks. Chris Green, managing director at Etherlive says, “With the Balloon Fiesta attracting more and more people each year, the organisers wanted to safeguard their necessary communications to ensure the safety, security and organisation of the event. Ben Hardy of REM, explains, “Dependable comms has become crucial to the success of a large outdoor event like the Bristol International Balloon Fiesta. In the past we tried a variety of solutions, like fully installed phone lines, but these were expensive. “We approached Etherlive, and its guarantee of a trustworthy system proved accurate, enabling us to fully control operations and ensure reliable communications between staff and those at flight control and our media centre. Etherlive’s approach was also more cost effective than in years previous”. Chris Green summarises, “We’re pleased to have been able to help the organisers manage security and communication issues successfully for the events duration, and that our efforts aided to the smooth running of this year’s Bristol Balloon Fiesta”. A successful event depends on great performances. From WOMAD and The Green Man Festival to the Southampton Boat Show and the Three Counties Show, Etherlive is the one that makes IT work. Etherlive sits behind the scenes delivering reliable Wi-Fi internet, telephony, CCTV, laptops, PDQs and interactive messaging. Whether in a field or a building, Etherlive makes connectivity simple.